A measure on the November ballot aims to restore San Francisco’s dwindling reputation as a powerhouse arts and culture funder. Proposition E seeks to dedicate 1.5 percent of the base hotel tax — a 14 percent tax levied on hotel stays in the city — to support arts and culture programs. The city estimates this could add more than $15 million in funding over the next two years. The San Francisco Board of Supervisors unanimously voted to put Proposition E on the ballot earlier this year. Proposition E even attracted the support of supervisors who normally disapprove of budget set asides, like Aaron Peskin and Katy Tang. "I got involved with Proposition E because I believe that our city needs to invest more in arts and cultural services," said Tang. "And I wanted to figure out how we could achieve this goal without impacting our city's existing services, and doing it in a fiscally responsible way." If it passes on Nov. 6 with the necessary two-thirds majority, Proposition E would restore an allocation that was originally created in 1961 to support the city’s cultural industries. The move turned San Francisco into an arts and culture funding trailblazer. "I was invited to France to tell the French Ministry of Culture how we did this in San Francisco," said Kary Schulman, the longtime director of Grants for the Arts, the main city body that distributes hotel tax funds to cultural groups. "It was a widely admired national model." In the early 2000s, the city reduced the allocations for the arts owing to financial issues, reducing funding gradually and ultimately repealing specific allocations altogether in 2013. "That investment being stopped, combined with displacement and the cost of living here, has really caused our arts community to be hanging on with their fingernails," Schulman said. The city’s creative community has been fighting to bring that pot of dedicated funding back for the past few years — so far without much success. In 2016, arts organizations teamed up with homeless service organizations on Proposition S, a joint bid to secure monies from the hotel tax to benefit cultural organizations and families living on the streets. But the measure didn't pass. 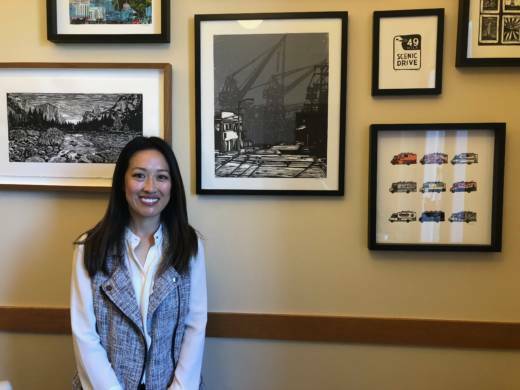 Monies from the fund will be used in a variety of ways, from supplying grants to keep arts organizations going, to providing funding for the first time to the city's "cultural districts" — like the Japantown Cultural Heritage District and the Leather and LGBTQ Cultural District in SOMA. The districts have largely been symbolic designations until now. "Proposition E is going to support some of the things that give our neighborhoods in the city unique characteristics," said Valerie Weak, a local actor and volunteer canvasser for the Yes on Prop E campaign. "It will keep things from turning into entirely homogeneous places, where every neighborhood looks just like the other neighborhoods." Weak also says Proposition E will provide funding for arts education, as well as grants to individual artists. "It's going to create more opportunities for artists to get paid for their work," Weak said. "It's important for artists to get paid a living wage." 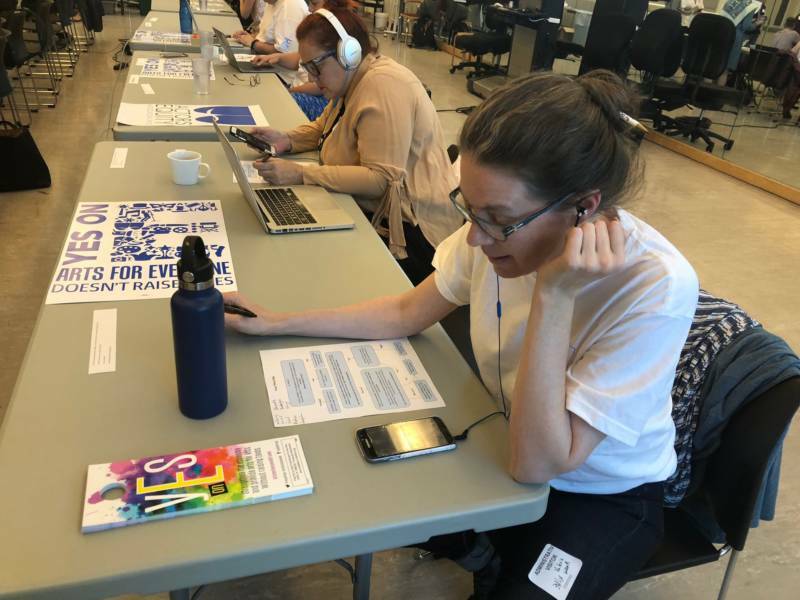 In addition to galvanizing broad support from cultural organizations of all types and sizes across the city, the Proposition E campaign has been getting support at the highest levels. San Francisco Mayor London Breed turned out to help with phone banking during the final week of the campaign. Local arts luminaries like San Francisco Symphony music director Michael Tilson Thomas have made videos urging people to vote yes on the measure. But getting voter approval still won’t be easy. Although the measure doesn't raise taxes, critics say it could divert funding away from other services, like public transit and education, which might increase taxes down the line.